Real or fake? You decide! Shouldn't we have a new Nexus 10 by now? A big-screen device that Google can use to champion its OS on a bigger display? The last version appeared in 2012 alongside the first Nexus 7 (2012) , so it's high time we got something else. While Google hasn't confirmed on denied anything surrounding the new Nexus 10 rumors, it appears it's accidentally posted the specs of the upcoming tablet on its Play store site - although given this was last year, we're thinking that this was actually faked. 2012's Nexus 10 was manufactured by Samsung, but it appears Google has ditched the Korean firm this time round - either in favor of Asus, which made the two Nexus 7 devices, or HTC, which is apparently up for the next big tablet from Google, though more recent rumors suggest HTC is working on a different slate altogether. Or could it be LG? A highly-suspicious leak seemed to state that this brand was behind the new tablet, but the fact that this was the same firm that made the last two Nexii phones seems to be the only credence behind this tablet render. On the other hand with so little new news and word of a Nexus 8 or Nexus 9 on the horizon there's also talk that Google might have killed off the Nexus 10 successor, if it was ever in the pipeline at all. 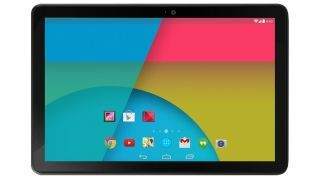 Whatever the case, we're constantly trawling the web for all the latest on the Google Nexus 10 (2014), bringing you this constantly-updated guide; consider it your one-stop shop if you're hankering for a top-end tablet that won't have you squinting. We've experienced many false dawns when its comes to the Nexus 10 release date. Originally Google was tipped to launch the tablet in the middle of October, but that was then pushed to the end of the same month, where it would have seen the Nexus 10 launched alongside the Nexus 5 and Android 4.4 KitKat software update. Android 4.4 release date: when can I get it? But the rumours have gone quiet since that time, with no idea on when it will appear. Our best guess at the moment is that the Nexus 10's sequel will be mid-2014 - likely in May when Google holds its I/O conference. This would coincide with the launch of Android 5 - both the software and the platform desperately need changing, and this would be the perfect time to do it. Beyond it being a logical launch time there is one hint that the Nexus 10 2014 could be with us very soon, the hint being that the Nexus 10 is listed as 'coming soon' on the US Google Play store. Now that could refer to the old model, but that's been listed as out of stock for a long time now, so it would seem odd if Google was suddenly going to start stocking it again. Google's Nexus products have always sported attractive price tags in an attempt to convince users to purchase direct from the search giant, who in turn aims to make its money back through purchases such as movies, apps and games through the Play store. With this in mind we can expect the Nexus 10 to sport another iPad-beating price tag, because at the end of the day the iPad Air is firmly on the radar of this mooted Google tablet. The new Nexus 7 inherited the pricing structure of its predecessor, so the Nexus 10 will more than likely do the same thing. Rumors seem to suggest there won't be a 16GB of the new Nexus 10, which means the 32GB version could fall into the $399 (£319) price bracket. Compare that to the cheapest 16GB iPad Air at $499 (£399) and Google has one over on its Cupertino-based rival. There's no prizes for guessing what size screen the Nexus 10 will be sporting - you guessed it: 10-inch. Or more precisely 10.1 inches, which seems to be the norm for Android tablets at this level to accommodate the larger pixel density accurately and ensure apps run attractively.